Bone density testing. A sensitive bone density test can reveal early bone loss that can be reversed with appropriate diet, exercise and medical therapy. 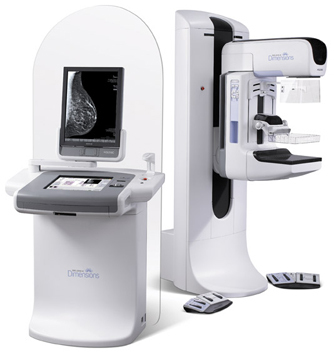 Digital mammography. The Rose Breast Center performs state-of-the-art mammography and breast ultrasound. New technology called breast tomosynthesis produces 3-D images that can greatly enhance the ability to detect cancer when it’s treatable. Ovarian ultrasound. Women at risk for ovarian cancer may opt to add a special transvaginal ultrasound exam. Adding this specialized ultrasound exam can be decided at the time of your complete abdominal ultrasound exam. Cologuard. A new screening test for colon cancer is recommended for individuals who cannot or have declined traditional optical colonoscopy. The test can detect cancer DNA is stool specimen. Gene testing. New genomic tests are soon to be available for cancer detection, risk of adverse drug events and personalized nutritional counseling.